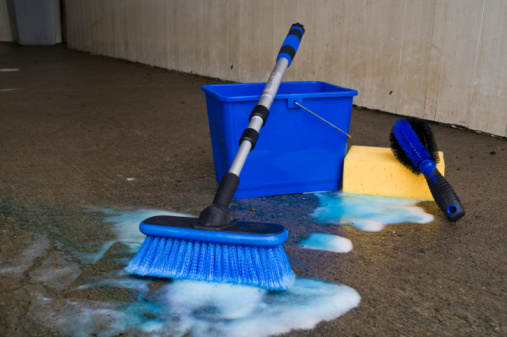 Grease stains have a tendency to go unnoticed, allowing them to build up to seemingly impossible proportions. 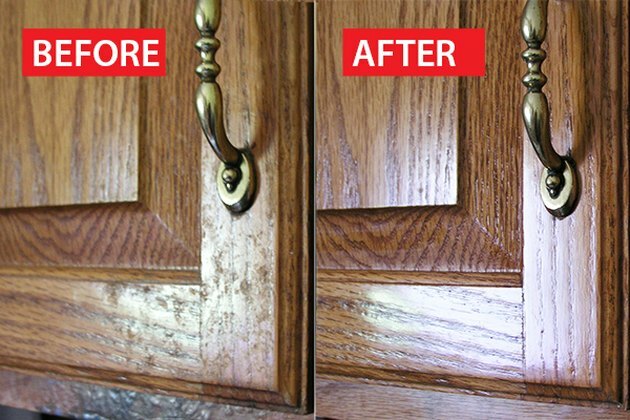 This grime can damage the wood of your cabinets if allowed to remain for a long period of time. However, as unpleasant as these stains may seem, they are easily remedied. Try the most gentle method first and if necessary, move to more aggressive solutions until you find the best formula for your situation. Dish soap is mild and effective. 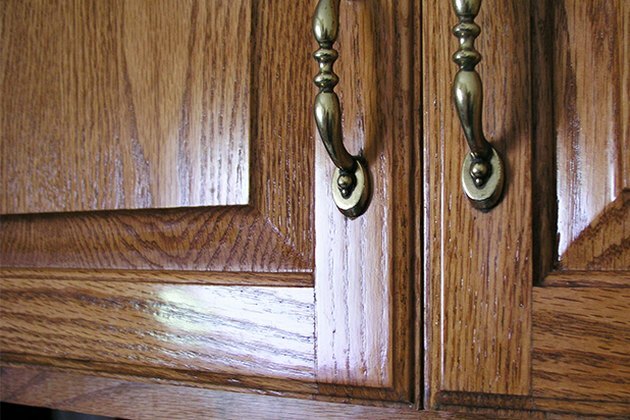 Mix 2 tablespoons of Dawn dish soap with 2 cups of warm water and scrub the cabinet with a clean cloth, following the grain of the wood. Rinse the area clean with a sponge, and dry it with a clean towel. Baking soda will not scratch the cabinets. 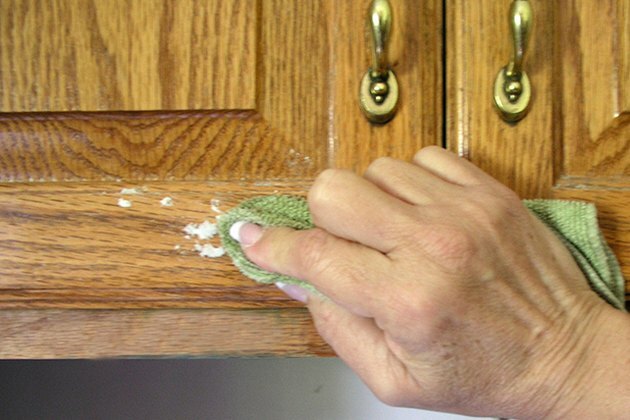 Sprinkle baking soda onto a clean damp cloth and scrub the cabinet. 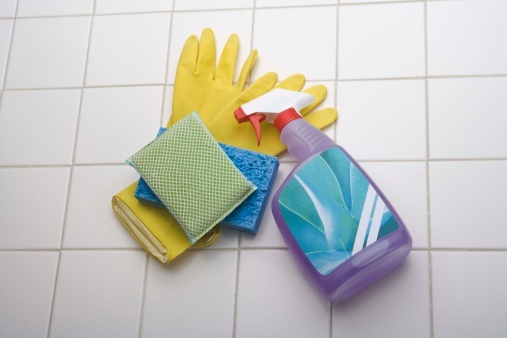 Rinse with a clean sponge, and dry the area with a clean dry towel. 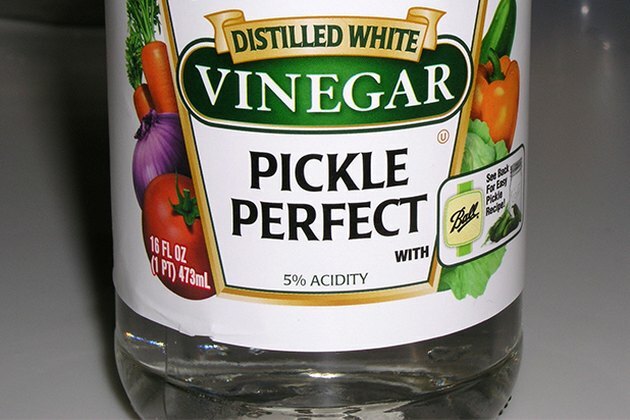 White vinegar is a household wonder cleaner. 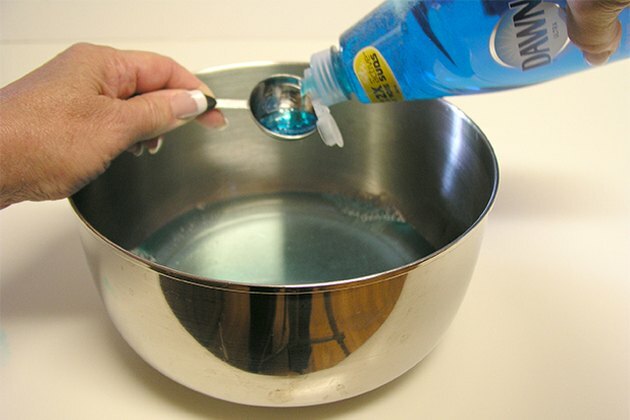 Add 1 cup white vinegar to the Dawn dish soap and water mixture. The solution is now 2 cups water, 2 tablespoons dish soap and 1 cup white vinegar. 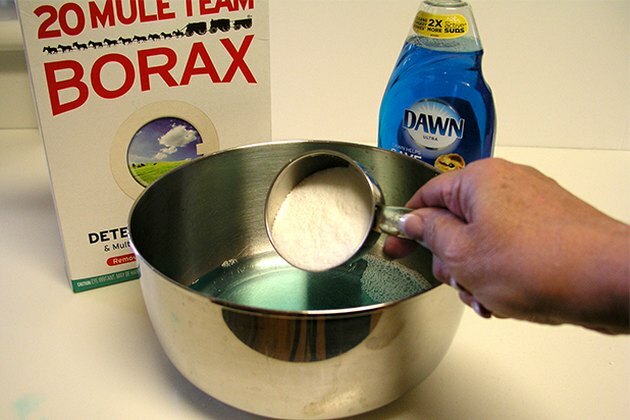 You might need to add more warm water to dissolve the borax. If you need to be still more aggressive, add half a cup of borax to the dish soap, vinegar and water mix. Repeat the scrubbing action with a soft cloth and wipe with a dry cloth. Just a light sheen makes all the difference. 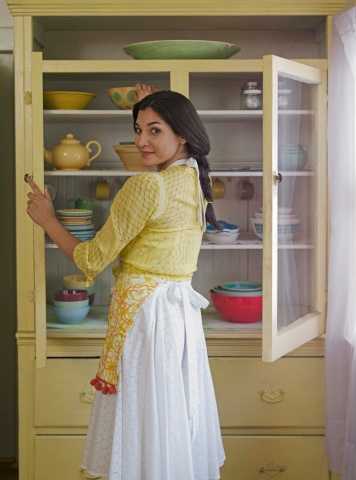 Finish by wiping the cabinets down with a small amount of orange oil, lemon oil or even mineral oil.